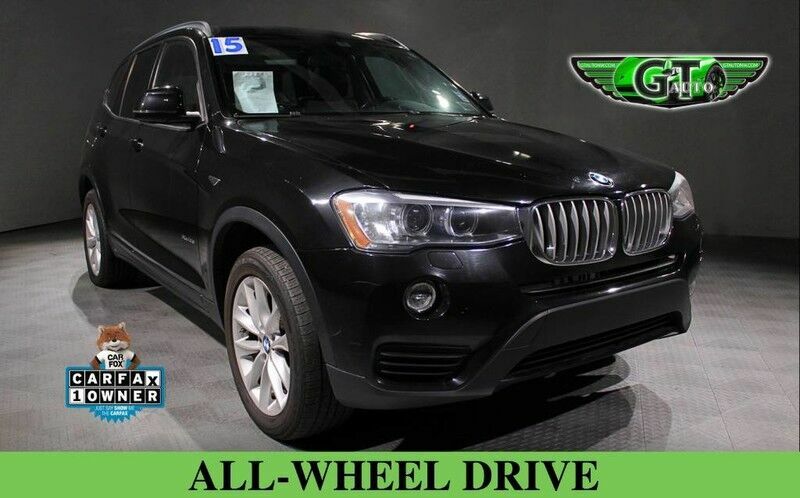 This 2015 BMW X3 is offered to you for sale by GT Auto Sales. GT Auto Sales is honored to present a most breathtaking example of pure vehicle design decadence...this is the vehicle of dreams! The paint is in excellent condition and it is apparent that this car was garaged and meticulously-maintained. This vehicle is fully-loaded. This vehicle has almost every option imaginable. With just 97,655 miles, this car is barely broken in. Very low mileage vehicle. 100% CARFAX guaranteed! This car has successfully undergone a rigorous pre-buy inspection. This vehicle's interior does show very minimal signs of wear, but it is in far better condition than what is expected for a vehicle of this age. Very clean interior! Still has the new car smell! Very smooth ride! This is a one-owner car. CARFAX reports this to be a one-owner car. All electronic components in working condition. All interior components are in good working order. This is one of the most desirable color combinations. One of the most attractive color combinations available on a X3! This vehicle is priced to sell. Our "Buy it Now" price is priced to move fast---act quickly! Competitively priced for a car in this condition. This X3 is the epitome of craftsmanship. BMW has created the most intelligently-engineered car. Call it class with sass, with just about every high-tech safety feature and interior amenity one could possibly want! We can help facilitate low-cost shipping directly to your door. At GT Auto Sales, no matter what vehicle you are looking for, we can find it for you. Don't hesitate to contact GT Auto Sales. This BMW X3 won't last long. ($dealership) is excited to offer this ($year) ($make) ($model) for only ($price)! At GT Auto Sales, we strive to provide you with the best quality vehicles for the lowest possible price, and this X3 is no exception.